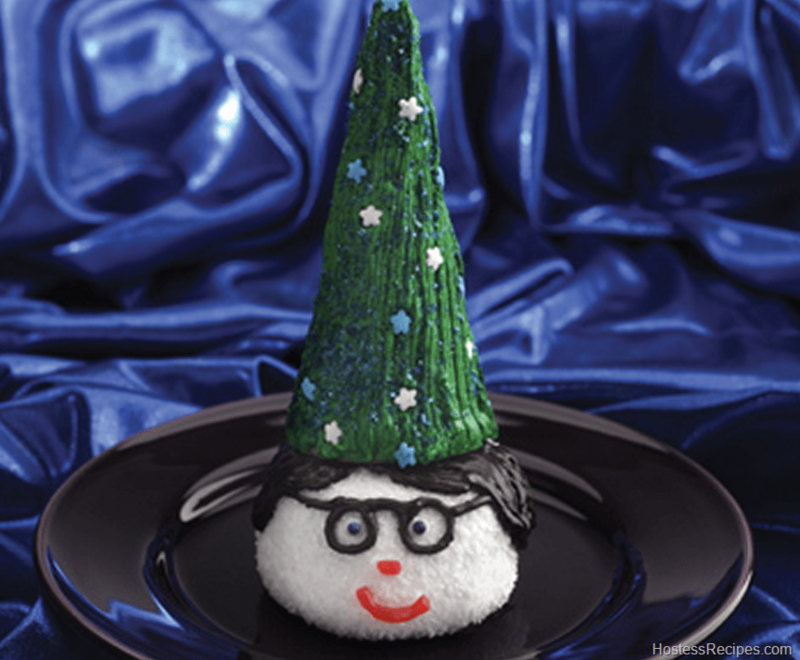 SnoBall Wizard, Harry Potter Magical Snack! Star-shaped sprinkles or other sprinkles, as desired. Fit pastry bag with desired tip and fill with chocolate frosting. Pipe hair and glasses on the SnoBall® head. Form the mouth and nose with licorice and put on the candy eyes using white frosting to glue to the SnoBall®. Frost sugar cone with frosting of desired color to make hat, then decorate as desired with star-shaped or other sprinkles. Position hat on SnoBall® face using frosting as glue.